MANILA, PHILIPPINES: The largest global sports media property in Asian history, ONE Championship (ONE), sent the crowd that thronged the Mall of Asia Arena into a frenzy last Friday night with a thrilling evening of authentic martial arts action. The absolute best in local and international martial arts talent took to the ONE Championship cage at ONE: HERO’S ASCENT to showcase their incredible skills. In the main event, Adriano Moraes of Brazil was crowned the new ONE Flyweight World Champion with a unanimous decision victory over Geje Eustaquio of the Philippines. Brazil’s Adriano “Mikinho” Moraes put together a comprehensive grappling performance, upsetting hometown hero and now former titleholder Geje “Gravity” Eustaquio to win by unanimous decision, capturing the ONE Flyweight World Championship. 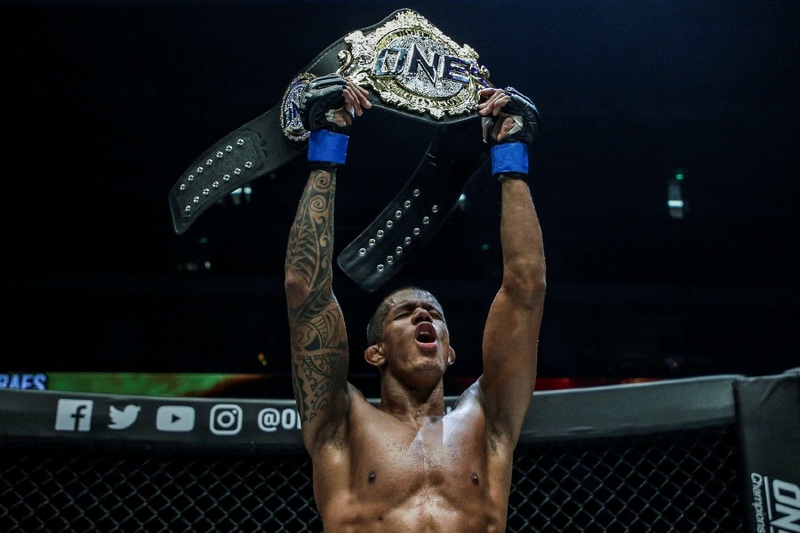 Although Eustaquio connected on the cleaner, stronger punches throughout the five-round title tiff, it was Moraes who dominated the grappling exchanges. At one point, Moraes caught Eustaquio in a dangerous leglock that almost finished the bout, but the Filipino refused to tap. In the end, all three judges scored the bout in favour of Moraes. Meanwhile, Malaysia’s very own exciting new talent, Mohammed ‘Jordan Boy’ Mahmoud had a pulsating turn on this balmy Manila night as he came face to face with Japan’s Hiroaki Suzuki. Expectations were high for the 22-year-old Kedahan in what is only his second outing under the ONE banner, but Suzuki eventually emerged the victor, claiming his second straight win on the ONE Super Series stage, as he halted ‘Jordan Boy’ in the final seconds of the third round. Suzuki utilised his speed and power to connect on a handful of thudding strikes on Mohammed, who in turn responded with solid hooks and knees to the body. It was in the closing moments of the final frame that Suzuki stunned the Malaysian athlete with a combination, earning him a technical knockout victory. The night may not have been his, but ‘Jordan Boy’ will definitely be back! Meanwhile, the night’s other exciting action saw the undefeated Lowen Tynanes retain his perfect record with a first-round finish of former ONE Featherweight World Champion Honorio “The Rock” Banario in a ONE Lightweight World Grand Prix Quarter-Final matchup. After a brief exchange on the feet, Tynanes drove Banario to the mat with a single leg. On the ground, the American quickly took the mounted crucifix position and pounded Banario with a series of sharp punches and elbows to earn the technical knockout victory. In a spirited clash between two top flyweight contenders, former ONE World Title challenger, Danny “The King” Kingad of the Philippines, turned in a well-rounded performance, defeating Tatsumitsu “The Sweeper” Wada of Japan by unanimous decision. It was Kingad who got the better of the standup exchanges in three full rounds. The Filipino, buoyed by the raucous support of the home crowd, also displayed superior grappling skills whenever the action hit the mat. The end saw all three judges score the bout in favour of Kingad who earned a spot in the highly-anticipated ONE Flyweight World Grand Prix with this victory. Truly in his element, Rodtang “The Iron Man” Jitmuangnon of Thailand remained impressive in his ONE Super Series campaign, running through newcomer Fahdi Khaled of Tunisia to win via unanimous decision. The multiple-time Muay Thai World Champion gave the Filipino fans a show as he pushed the action with an unending flurry of strikes that kept the Tunisian newcomer at bay. Khaled had no answer for the Thai star, who eventually cruised to a clear decision win. Meanwhile, Dutch grappler Reinier De Ridder didn’t take long to finish off China’s Fan Rong, winning via submission in the first round. Pumped, the undefeated European mixed martial arts World Champion was in commanding form, wasting little time in bringing the action to the ground as he took the Chinese athlete down with ease. 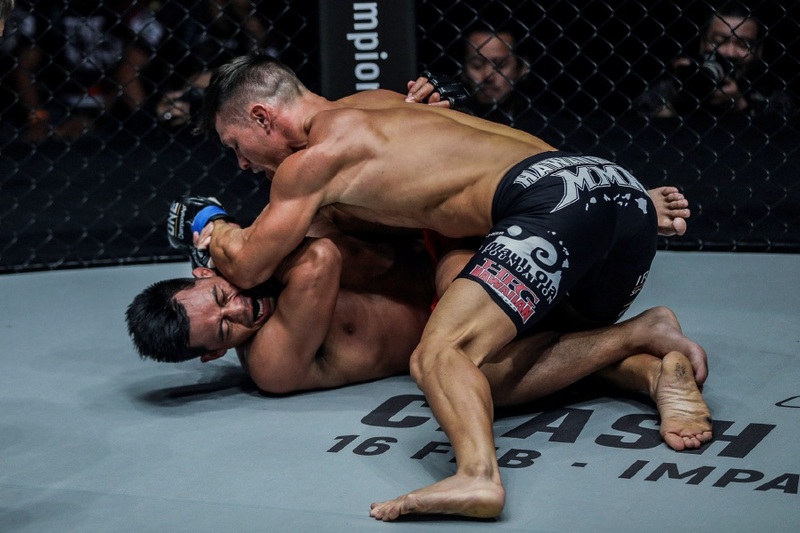 On the mat, De Ridder showed off his Brazilian Jiu-Jitsu pedigree as he locked in a deep D’Arce Choke to put Fan to sleep in just under two minutes thus announcing his arrival in ONE Championship’s stacked middleweight division. In the night’s other action, the crowd saw Japanese striker Hiroki Akimoto overcome a knockdown in the first round to defeat Australian Josh “Timebomb” Tonna via unanimous decision in his ONE Super Series debut. The WFKO Karate Champion put on a striking clinic, picking Tonna apart with an array of thunderous kicks and powerful punches. 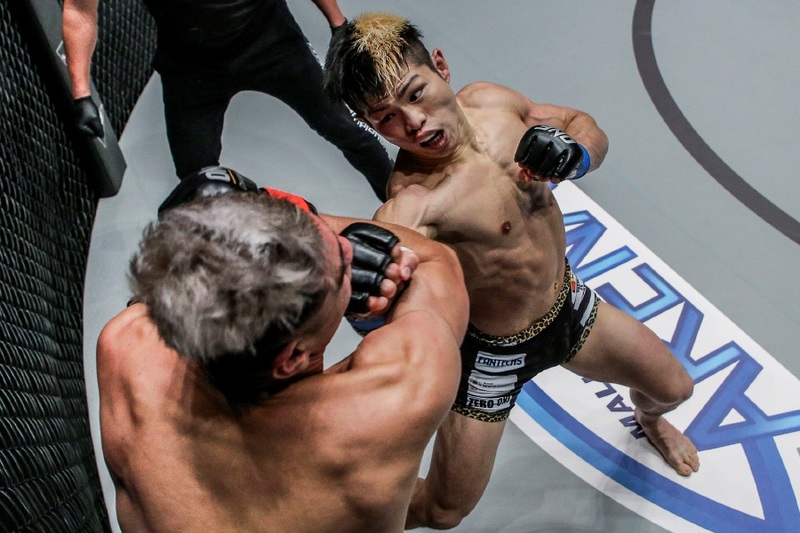 A pair of knockdowns in the final round secured the win for Akimoto, who was dominant in his first ONE Championship appearance. 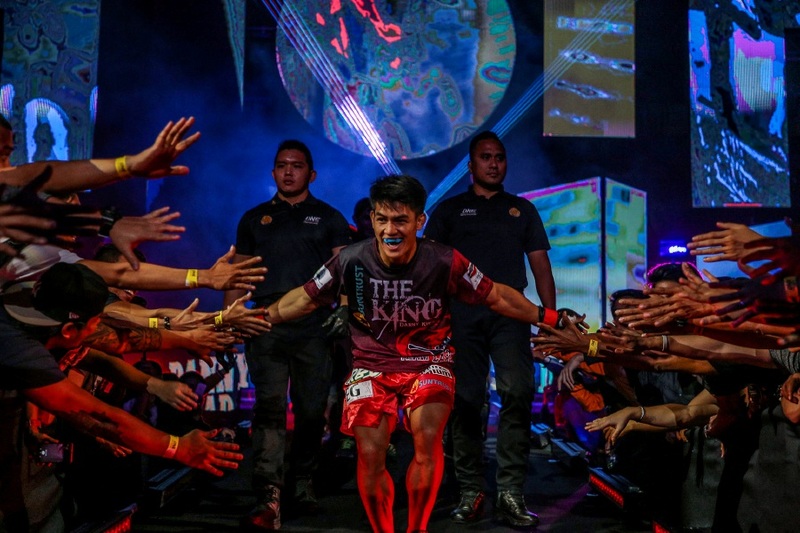 Thailand’s Bangpleenoi Petchyindee Academy was impressive in his ONE Super Series debut as he overwhelmed Brown Pinas of the Netherlands en route to a unanimous decision victory. The two-division WMC Muay Thai World Champion controlled the pace of the match, punishing Pinas with a relentless barrage of punches and kicks. Bangpleenoi scored a knockdown midway through the third round to seal the deal and earn his first win on the ONE Championship stage. Meanwhile, Algeria’s Elias Mahmoudi outstruck Japan’s Yukinori Ogasawara over the course of three rounds. Mahmoudi was on point in the opening frame, unleashing a storm of thunderous kicks and pinpoint-accurate elbows on his opponent. The Algerian proved to be the faster and stronger man and was always a step ahead of his opponent in the succeeding rounds. In the end, all three judges scored the bout in favour of the jubilant Mahmoudi. China’s Tang Kai left a lasting impression in his promotional debut, successfully pulling off a statement victory over South Korea’s Sung Jong Lee. Living up to his reputation as a knockout artist, Tang completed his mission in the second round, shutting the lights off on Lee with a thunderous high kick. And setting the tone for this action-packed evening was the strawweight encounter between India’s Himanshu Kaushik and Indonesia’s Egi Rozten. 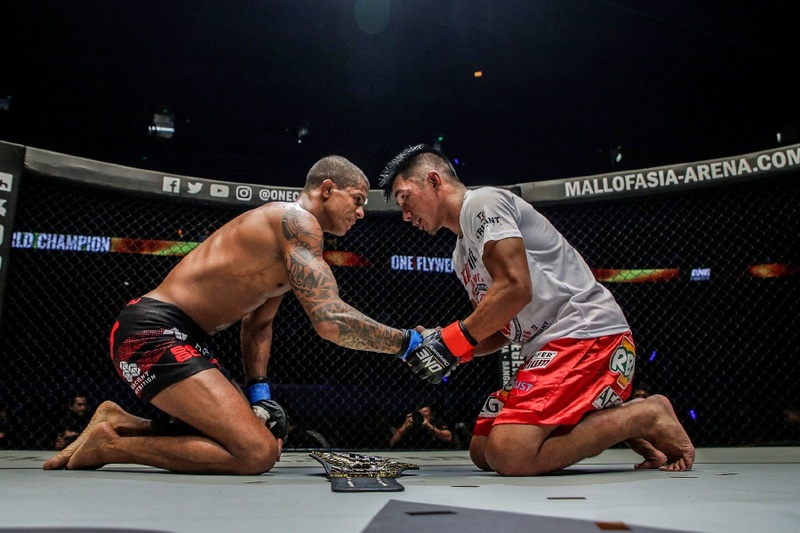 Determined to claim his first victory in ONE Championship, Kaushik made quick work of Rozten, knocking out the Indonesian warrior with a barrage of punches in the first round.